At Twilio we start with the why. In our current social climate, now is the time to come together as a community and celebrate Black excellence and achievement. With our partners, we will recognize the amazing work being done by individuals in our communities. 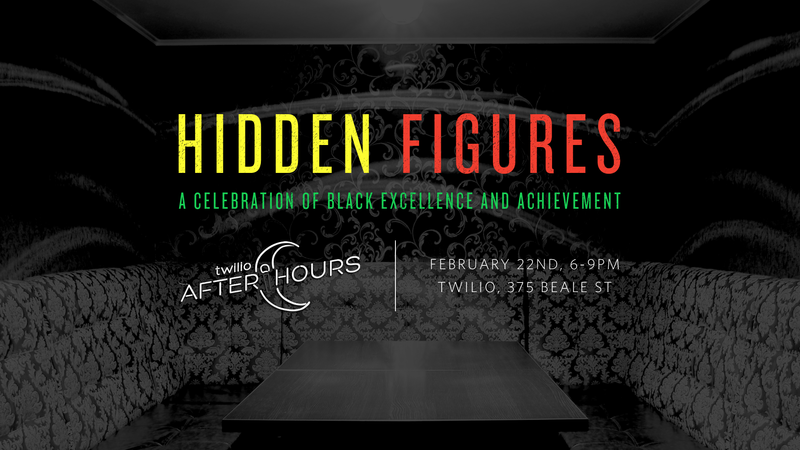 Hosted by Armand Carr, Hidden Figures will feature celebrity guest Baron Davis, Lisa Gelobter, and Marcus Bullock, amazing music, networking and more. The night includes a fireside chat, entertainment, and networking. Over a thirteen-year career, Baron Davis played for the Charlotte Hornets, the Golden State Warriors, the Los Angeles Clippers, the Cleveland Cavaliers, and the New York Knicks. Known for his electrifying style on the court, Davis was a powerful point guard, who won national acclaim for executing in crucial, high-pressure moments, when his team needed him the most. As a businessman, Baron was one of the original investors for Vitaminwater and helped launch Thrive Market. Following his 2004 release from prison, Bullock launched a mobile app called Flikshop. It's a free app that enables incarcerated people the ability to receive postcards in the mail from friends and support organizations. Flikshop ships postcards to over 2,200 correctional facilities around the country, connecting thousands of families to their incarcerated loved ones. Flikshop has become a leader in their industry, and led Bullock to co-found Washington, DC non-profit Flikshop School of Business, a program that teaches persons returning to their community from prison life skills, entrepreneurship, and mobile application development. He is a member of the Justice Policy Institute’s board of directors, has been appointed by Washington, DC’s mayor as a Commissioner for Reentry and Returning Citizens Affairs, and Aspen Institute Scholar. Top Hat Catering is a boutique Catering Business and specializes in making memorable events. Top Hat Catering has 20 plus years of full service catering and event planning, which allow them to handle every aspect of an event. Whether it is a corporate seated dinner, a five-course wedding or a casual cocktail party, their quality and commitment to excellence never changes. Each menu is customized to suit your taste and style.